Previously, I've shared YouTube channels and documentaries on Netflix that are educational. 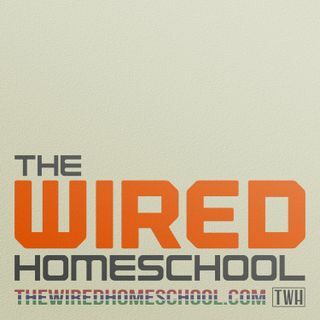 In this episode of The Wired Homeschool, I share 10 documentaries you can find on Hulu right now that you can use for homeschooling. The list reflects my leaning towards science and technology (especially, space) but you can find other ... See More interesting educational content on Hulu that covers topics like humanities, finances, and history. A new generation has been inspired to design and build the greatest TELESCOPE yet – NASA's James Webb Space Telescope, and will be a veritable time machine capable of taking us back to the origins of our universe. Runtime: 43 minutes. Rating: PG. Watch now. CNN Films Presents collaborated with director/producer Gédéon and Jules Naudet and retired Manhattan firefighter James Hanlon for a new anniversary edition of the film, "9/11." Now, 15 years on, the filmmakers talk to the surviving members of the firehouse, as well as their family members, about that day, and their lives in the days and years since. This edition of the film includes a poignant introduction by actor and producer Denis Leary. Running time: 103 minutes. Rating: NR. Watch now. How It’s Made shows viewers how many of the everyday objects we seldom stop to think about become the things they are.